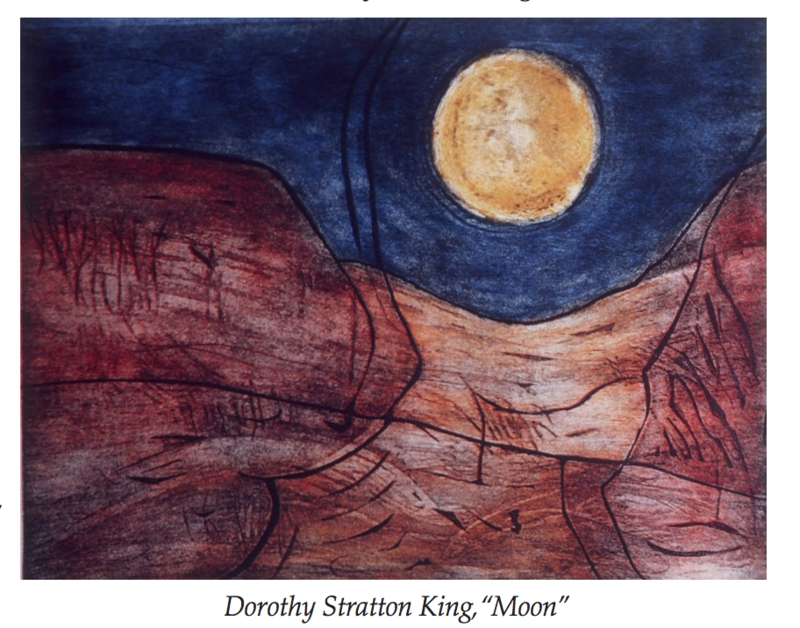 “Dorothy Stratton (1908-2007) moved easily between painting and printmaking throughout most of her career. Today, a full decade since her death, interest in the work she produced as a California midcentury modernist is growing as museums, scholars, and collectors rediscover her richly colored and elegant work. A recent book, Emerging from the Shadows: A Survey of Women Artists Working in California, 1860-1960, features a lithograph and an abstract oil landscape. The City of San Diego this year secured the rights to use a color intaglio and oil painting for municipal marketing purposes. And Stratton’s work now shapes the permanent holdings of the print archives of the National Museum of American History in Washington, DC, which last year added several of her prints and plates to its vast collection of historically significant holdings.